Our main entry points are into Year 7 (11+), Year 9 (13+) and Year 12 (16+) although girls also join us into Year 8 (12+) and Year 10 (14+). We recommend that you visit the school, ideally before the end of the Trinity Term (prior to the September year of entry). You can attend one of our open mornings, held four times a year, or have an individual appointment to meet the Headmistress. The next stage is to register your daughter to apply for a place by either completing the Application for Entry Form and returning it to the Admissions Office or submitting an online application, together with a non-returnable Registration Fee of £90 for UK residents, or £150 for Overseas residents. Girls are then invited to take part in entrance tests. These are used, not as pass or fail tests, but to ensure that the individual girl has the capacity to benefit from a Wychwood education. Your daughter will spend the day with us. She will be tested in English and mathematics in the morning and spend the rest of the day having a taste of life at Wychwood School with sessions in art, computing, science and drama. This is an excellent way for prospective pupils to become better acquainted with the school, our staff and with some of the girls with whom they may spend the next seven years of their lives. Your daughter will spend the morning with us being tested in English and mathematics. You may also request for her to join her year group for a taster day or part-day at a mutually convenient time. Your daughter will be tested in three of her four chosen A Level subjects. 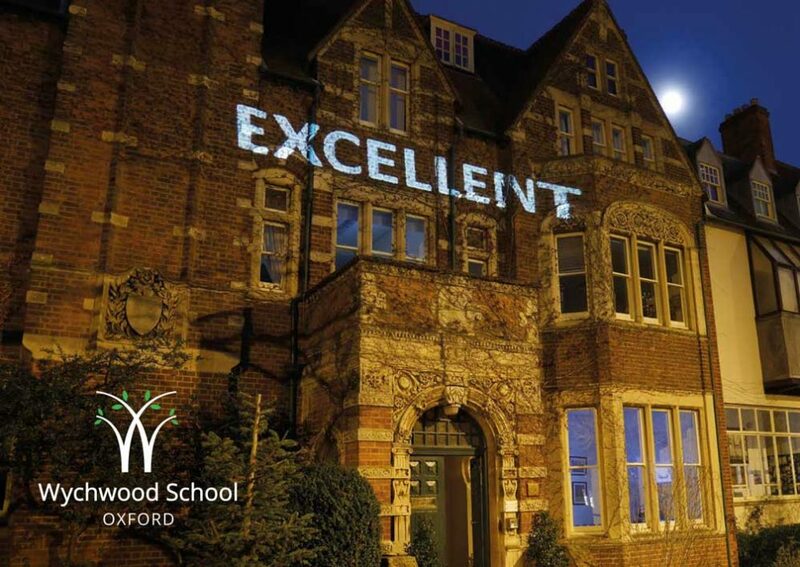 For external entry into Wychwood Sixth (Sixth Form) there is a minimum requirement of 6 GCSE passes at grade 9-4 with 9-6 in the student’s chosen A Level subjects. If a girl is looking to study the arts then we will need to see a portfolio of work. Predicted GCSE grades are also required. Your daughter may also request to join her year group for a taster day or part-day at a mutually convenient time. A critical part of the entrance procedure across all years is an up-to-date school report. You should arrange with your daughter’s current school to send her latest school report to Wychwood, again ideally before the entrance tests. Every student is also interviewed by the Headmistress. This informal interview is an integral part of the admissions procedure. We will offer places on the basis of the entrance tests, interview and school report. To accept the offer we ask for a completed Acceptance Form and payment of a deposit. Entry is for girls only between the ages of 11 and 18. The school acknowledges its non-discrimination and planning duty under the Special Educational Needs and Disability Act 2001. The School’s Disability Inclusion Policy and Accessibility Plan outline the procedures which will be followed when considering applications made to admit pupils with a Learning Difficulty or Disability. The School welcomes pupils from abroad as long as they can cope with education in English and work towards standard UK qualifications, albeit with EAL support. Parents must be committed to supporting further English study at their cost if necessary. This would be through specialist individual or small group teaching. Students living overseas and looking to join Years 7-10 will sit entrance tests in maths and Englaish as an Additional Language either at Wychwood or at their current school (with permission). Girls looking to join Wychwood Sixth will sit tests in their chosen A Level subjects and English as an Additional Language, either at Wychwood or their current school (with permission). The interview with Mrs Johnson can be carried out over skype if required. A small number of short-stay European pupils may also attend the school. In order to gain the maximum benefit from their stay and integrate successfully into life at Wychwood, the minimum period for short-stay pupils is one academic term, but sometimes they may stay for as long as a year.